Beauty and Health enthusiasts of all ages and professions from across the GTA will enjoy 3 days of innovative beauty showcasing at the Canadian Beauty Innovation Awards October 17-19th. The Prom Show is proudly supporting the CBIA by bringing the topic of teen Beauty and Health to the expo. According to the 2013 Canadian Community Health Survey, 1 in 5 Canadian youths, aged 12 – 17, are considered overweight or obese. The Prom Show is committed to helping our audience change this alarming statistic and help infuse a healthy level of self esteem and knowledge in our teen audience. For Tickets to the CBIA and The Canadian Beauty Ball please click HERE. 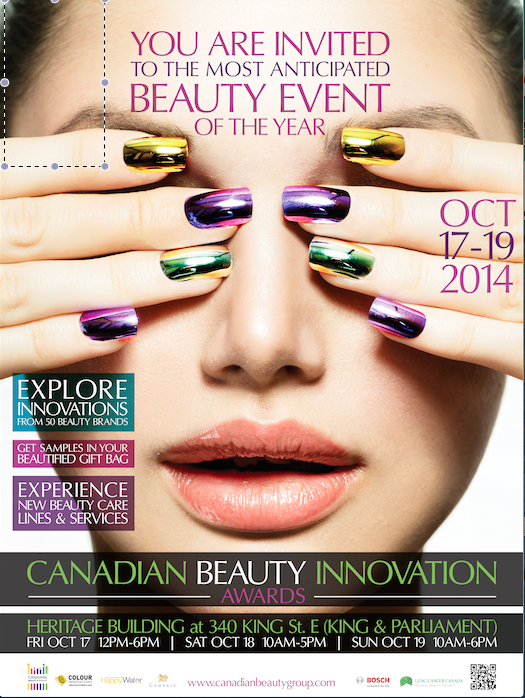 "One great place to see new and innovative brands is at the Canadian Beauty Innovation Awards (CBIA)." - Melani Chong, Managing Partner of The Prom Show, Founder CEO of MC2Beauty Inc.